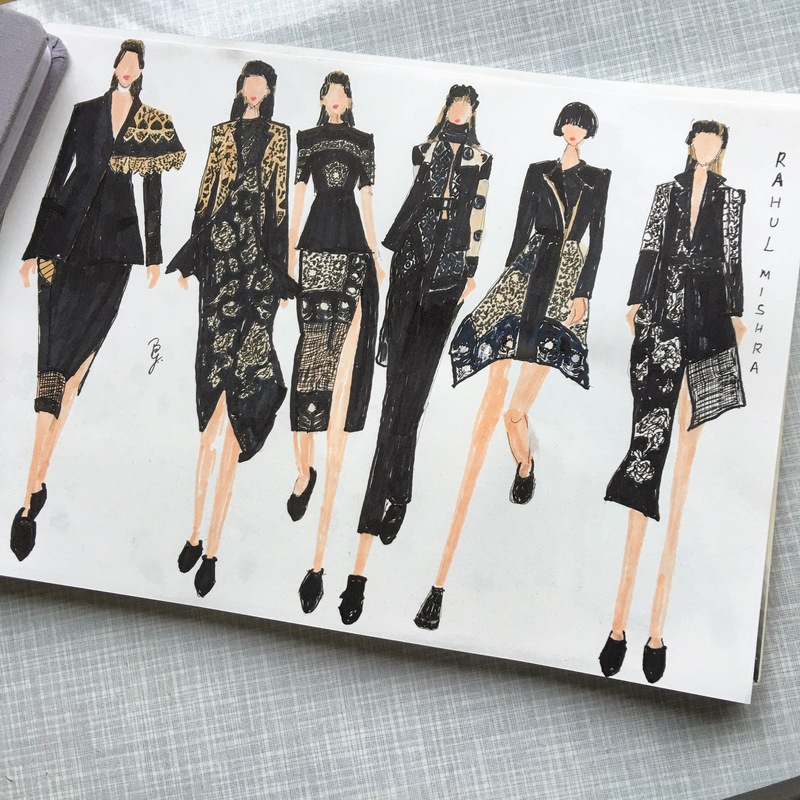 As a global fashion buff, frequently inspired by many of the international designers, I also tend to gravitate towards my Indian roots with a current muse towards two of my favorite designers Rahul Mishra and Archana Rao. They both have a common approach wherein, they experiment a lot, the former with his innovative weaving techniques and the latter by incorporating a vintage feel to the contemporary design. Rahul Mishra is also the winner of the prestigious Woolmark prize for the year 2013/14 and is well known for his contribution towards Indian hand-looms. On the other hand, Archana Rao, a graduate from Parsons, New York, won the Vogue fashion fund, India for the year 2013 with her capsule collection inspired by vintage charm. 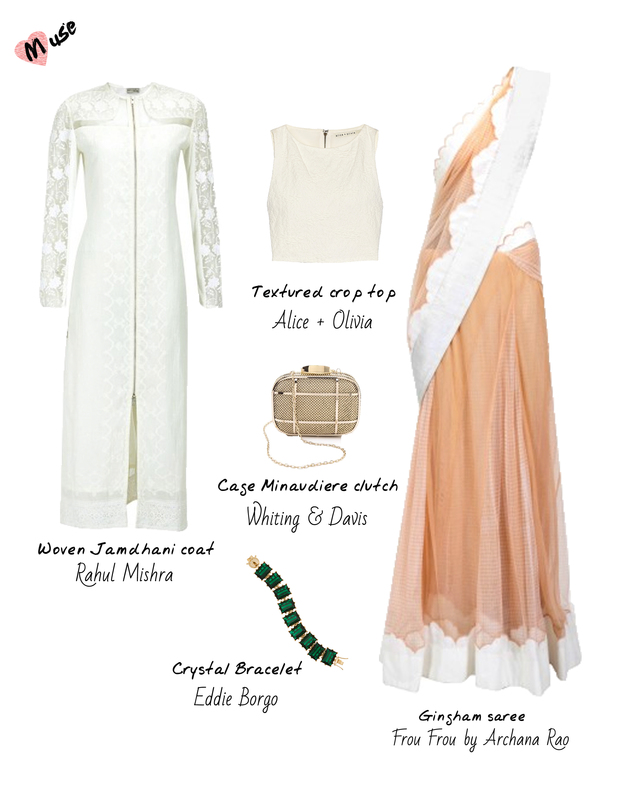 I would love to team up this Gingham saree with a white crop top from Alice + Olivia and this wonderful white Jamdani coat by Rahul Mishra. To conclude the look, I am going to wave this cage sling bag by Whiting & Davis on to my shoulder, adorn my wrist with a crystal bracelet from Eddie Borgo and I am good to go for a day wedding or a brunch party or a garden party… what do you think ladies? ?